New in new dust jacket. International Edition, Paperback, Brand New, Same author, ISBN and Cover image may differ. Legal to use despite any disclaimer, We ship to PO, APO and FPO adresses in U.S.A. Choose Expedited Shipping for FASTER DELIVERY. Customer Satisfaction Guaranteed. New. 100% Money Back Guarantee. Brand New, Perfect Condition. We offer expedited shipping to all US locations. Over 3, 000, 000 happy customers. Trade paperback (US). Glued binding. 416 p. Contains: Illustrations. Rich Dad. Fine. 100% Money Back Guarantee. Brand New, Perfect Condition. We offer expedited shipping to all US locations. Over 3, 000, 000 happy customers. Trade paperback (US). Glued binding. 416 p. Contains: Illustrations. Rich Dad. 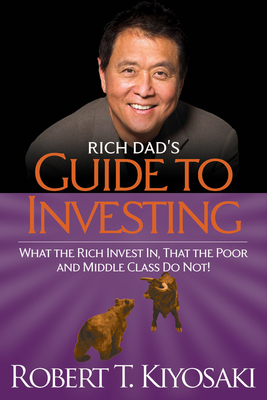 All Editions of Rich Dad's Guide to Investing: What the Rich Invest in, That the Poor and the Middle Class Do Not!